The existence of climate change is virtually indisputable. Changes in weather patterns, warming of the ocean and atmosphere, rising sea levels and loss of snow and ice are global problems, driven largely by human activity. The Intergovernmental Panel on Climate Change (IPCC) concluded in their Fifth Assessment Report that if greenhouse gas emissions continue along current projections, the global average temperature will rise by 2.6-4.8 °C by the end of the century. In the run up to the 21st Conference of the Parties (COP21), which will commence in Paris in December this year, Parties to the United Nations Framework Convention on Climate Change are putting forward their Intended Nationally Determined Contributions towards limiting global warming to 2 °C. Building urban resilience is vital to achieving this target, and to do so, climate change adaptation and mitigation must occur at the local level. The success of such adaptation measures rests heavily on the involvement of all local stakeholders – authorities, community-based organisations and communities – particularly in the most vulnerable regions. Incorporating a bottom-up approach, as opposed to rigid, top-down regulation, and building the capacity of these stakeholders to adapt, is critical. The European Green Capital Award was launched in 2008 by the European Commission (EC) to enable local authorities within European cities to make tangible progress in raising their environmental status, while also rewarding their commitment to urban sustainability. The Award was designed to give recognition each year to one city going above and beyond to improve its urban environment and living standards. These ‘municipal environmental role models’ are promoted as case studies of cities taking the lead on transport, pollution, waste, housing and many other environmental issues. The award also aims to raise awareness within communities of the strength of impact that can be achieved through their collective actions. In 2010, Stockholm became the first official Green Capital, followed by Hamburg, Vitoria-Gastiez, Nantes and Copenhagen. Since January this year, the title has been held by Bristol, based in the Southwest of England, UK. According to the EC, Bristol has received £7 million in public finances for projects such as a clean tech award, UK schools programme, a green tech festival, grassroots catalyst fund and a volunteer programme. In the wake of a growing economy, the city has succeeded in steadily reducing its carbon emissions since 2005, and has committed to achieving energy efficiency and renewable energy by 2020. As well as investing in transport improvements with a 2015 deadline, by 2020 Bristol hopes to double (for a second time) its already large population of cyclists. Events targeting five themes – energy, food, nature, resources and transport – are taking place in the city throughout the year, aimed toward gaining local empowerment and inspiring change. Bristol intends to become a hub for low-carbon industry, while also providing its local residents with a platform to share, create and learn how to lead greener, happier lifestyles. 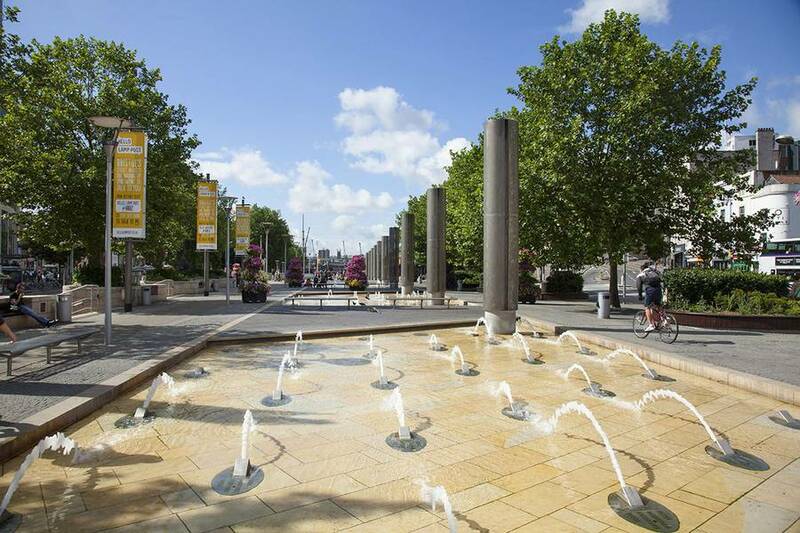 Some of Bristol’s environmental achievements to date include: transitioning to using low-emission buses, transformations to the transport infrastructure to reduce congestion and parking issues, and creating the UK’s first council-owned wind turbines. In 2014, it also opted to become one of the UK’s few cities to be run by an independent, elected mayor as part of the effort to transform its democratic processes. Bristol’s overall objectives as Green Capital are to raise its international profile and become a leader in urban sustainability and local empowerment. Money has been allocated to community-led arts, environmental and sustainability projects. Other actions coordinated by the city include investing £19 million in the cycle network, activating more electric car charging points in the city, and aspiring plans for a municipal energy company. Bristol will hold Green Capital position for the next eight months, before passing the baton on to Ljubljana, Slovenia in 2016.
International Innovation is the flagship free-to-access publication from Research Media, publishing global insight and analysis on current scientific research trends, as well as funding and policy issues. Coverage spans the breadth of scientific disciplines, with key focus on the interdisciplinary areas of healthcare, environment and technology. Click here to start reading.